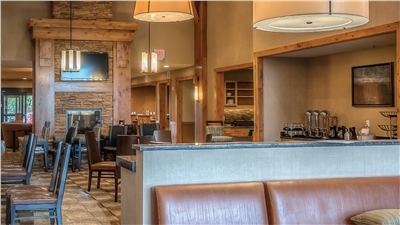 Enjoy a convenient home away from home at Homewood Suites by Hilton Durango, CO. Located in the heart of the business and industrial center of Durango known as Bodo Park, this all-suite hotel is just two miles from downtown Durango and the Durango and Silverton Narrow Gauge Railroad. Corporate guests will appreciate the hotel's proximity to many Durango businesses, the hotel's 24-hour business center and the modern, 627 sq. ft. conference room. 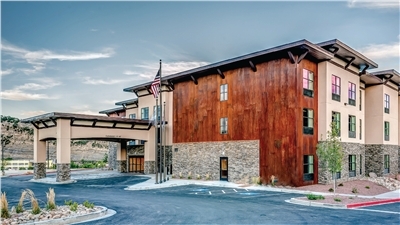 Whether staying for just a night or an entire month, you are only minutes from many Durango attractions, restaurants, breweries and outdoor leisure activities, including skiing.Unwind in a spacious studio or one-bedroom suite, equipped with everything you need for a comfortable stay, including a separate living area, a full kitchen and complimentary high-speed internet access. 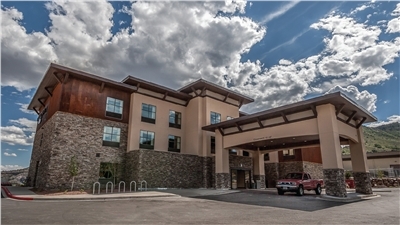 Comfortable accessible suites are also available at this Durango hotel. Work out with the latest Precor equipment in the complimentary fitness center or play sports on the outdoor court, swim in the indoor pool or indulge in a pampering beauty treatment in our onsite spa. Start each morning with a complimentary hot full breakfast and relax with friends old and new on the outdoor patio, complete with BBQ grills. In the evening, enjoy complimentary Mangers Reception and drinks*, served Monday through Thursday. Our One Bedroom Non-Smoking King Suite is filled with all the comfortable features of home. The fully equipped kitchen includes a full-size refrigerator, microwave, dishwasher and twin burner stove - plus utensils. A dining area off the kitchen can easily double as work space. A separate living area features a full-size sleeper sofa, a comfortable chair and television with remote control and movie channel entertainment. When you're ready for bed, sink into our comfortable king-size bed in a separate bedroom with another remote control television. Like all of our suites, our One-Bedroom Non-smoking King Suite keeps you connected with complimentary high-speed internet access and helps you stay on schedule with a custom-designed alarm clock featuring a back-up alarm system, MP3 player capabilities and pre-set local radio stations. Telephones with voice mail also make it easy for you to keep your routine while on the road. Our One Bedroom Non-Smoking Two Queens Suite is filled with all the comfortable features of home. The fully equipped kitchen includes a full-size refrigerator, microwave, dishwasher and twin burner stove - plus utensils. A dining area off the kitchen can easily double as workspace. A separate living area features a full-size sleeper sofa, a comfortable chair and television with remote control and movie channel entertainment. When you're ready for bed, sink into our comfortable queen-size bed in a separate bedroom with another remote control television. Like all of our suites, our One Bedroom Non-Smoking Two Queen Suite keeps you connected with complimentary high-speed internet access and helps you stay on schedule with a custom-designed alarm clock featuring a back-up alarm system, MP3 player capabilities and pre-set local radio stations. Telephones with voice mail also make it easy for you to keep your routine while on the road. Designed for those who like open floor plans, our Studio Non-Smoking One King Suite features an open layout which includes all the comfortable features of home. The spacious suite includes a king-size bed, a television with remote control and a full-size sofa sleeper. 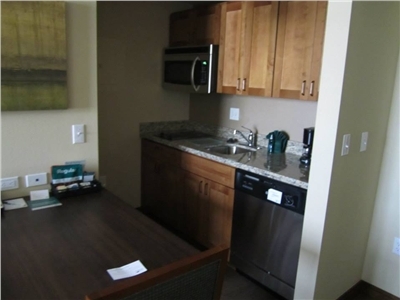 Our Studio Non-Smoking One King Suite includes a fully equipped kitchen with a full-size refrigerator, microwave, dishwasher and twin burner stove - plus utensils - to make dining in easy. For added convenience and flexibility, there is an additional work table and chair, separate from the dining area table. Like all of our suites, our Studio Non-Smoking One King Suite keeps you connected with complimentary high-speed internet access, telephone with voicemail, and a custom-designed alarm clock with MP3 player capabilities, all offered to help you keep your daily routine while traveling. Designed for those who like open floor plans, our Studio Non-Smoking Two Queen Suite features an open layout which includes all the comfortable features of home. The spacious suite includes two queen-size beds, a television with remote control and a full-size sofa sleeper. Bathroom has shower only. Our Studio Non-Smoking Two Queen Suite includes a fully equipped kitchen with a full-size refrigerator, microwave, dishwasher and twin burner stove - plus utensils - to make dining in easy. For added convenience and flexibility, there is an additional work table and chair, separate from the dining area table. Like all of our suites, our Studio Non-Smoking Two Queen Suite keeps you connected with complimentary high-speed internet access, telephone with voicemail, and a custom-designed alarm clock with MP3 player capabilities, all offered to help you keep your daily routine while traveling. 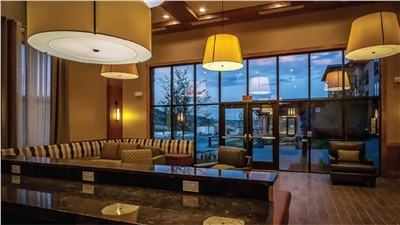 General	| Experience homelike surroundings and warm hospitality at our extended stay hotel, Homewood Suites by Hilton® Durango, CO. Located in Bodo Park, Durango's business and industrial center, this all-suite hotel is only two miles from downtown Durango and offers easy access to many Durango attractions, restaurants, shops and breweries. A wealth of exciting outdoor activities, including skiing, are all easily reached from our hotel. Unwind in a spacious studio or one-bedroom suite equipped with a range of amenities. Pick up essentials at the 24-hour Suite Shop or let us do the work with our complimentary grocery shopping service. 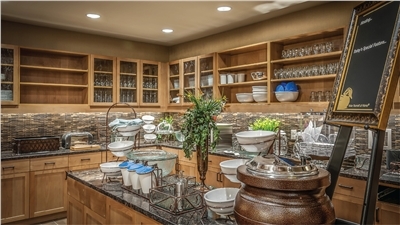 Cook your favorite meals in the fully equipped kitchen with a two-burner stove, full-sized refrigerator, dishwasher, microwave, coffeemaker and utensils. Make the most of your leisure time at this Durango hotel in the complimentary fitness center, outdoor sports court, indoor swimming pool and onsite spa. Start every morning with a complimentary hot full breakfast, and Monday through Thursday evenings, enjoy complimentary dinner and drinks* - the perfect way to relax after a busy day in Durango, CO. Relax with a cold drink on the outdoor patio and cook burgers on the BBQ grills. Host a business or social event in our flexible, 627 sq. ft. conference room and stay connected with the office while you travel in the 24-hour business center. Cancellation	| If you wish to cancel, please do so 24 hours prior to arrival to avoid cancellation penalties. Other	| Non-Smoking: A smoking oasis is available outside the building for your smoking pleasure. Children	| We love to have them stay with us!